Worried that Ramshackled is a boondoggle? Relax. 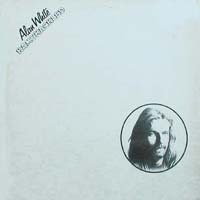 Alan White’s first (and only) solo album garnered its share of criticism, both from critics (because it was associated with Yes) and Yes fans (because it didn’t sound enough like Yes). But remembering for the moment that White had only been with Yes a short while, his music naturally draws equally from past employers such as John Lennon, Gary Wright and Joe Cocker. It’s an eclectic mix, sampling soul, rock, jazz, classical and even a little reggae (on the pleasant trifle, “Silly Woman”). You could say the same about Steve Howe’s Beginnings or the side of music Carl Palmer contributed to ELP’s Works Volume One. Ramshackled isn’t as good as all that, with White ceding the songwriting to his old Griffin bandmates Ken Craddock, Colin Gibson and Pete Kirtley. (Not to be confused with the Gryphon that supported Howe on his first album.) If Ramshackled fails, it’s because the rest of Yes were talented musicians with a vision. White might just as well have gone fishing during Yes’ hiatus. Instead, he recorded this low-key album of songs, including a few (“Avakak,” “Song of Innocence”) that tap into Yes’ vibe. Ramshackled’s great sin may be that Yes fans, who were curious for a window into what made White tick, know as little about his muse now as they did before. The revealing science of percussion it isn’t, but approaching this with realistic expectations will go a long way toward appreciating Ramshackled for what it is: a solo album from a ‘70s session drummer who had only recently hitched up with Yes. Alan White (drums, percussion, vocals), Kenny Craddock (keyboards, vocals), Colin Gibson (bass guitar, percussion), Peter Kirtley (guitar, vocals) with Bud Beadle (solo sax, flute), Steve Gregory (tenor sax, flute), Henry Lowther (trumpet), Alan Marshall (vocals), Andy Phillips (steel drum). Produced & engineered by Alan White and Bob Potter. Sleeve concept & design by Ian Vincentini. Fine art by Henry S. Hodgson. Released on elpee and 8-track in April 1976 in the UK (Atlantic, K 50217), the US (Atlantic, SD/TP 18167) and the Netherlands (Atlantic, ATL 50217). Re-issued on CD on December 31, 1994 in Japan (Atlantic, AMCY-23) and on March 24, 1998 in Japan (Atlantic, AMCY-4050). Re-released on SHMCD on October 21, 2015 in Japan (Atlantic).